CHULA VISTA –Xolos Academy FC teams head into the fifth week of Presidio League competition this weekend with a handful of matches Saturday Oct. 4. 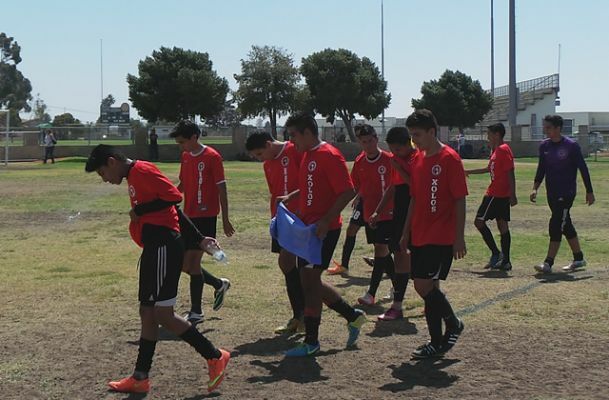 The Xoloitzcuintles will play three games at home at Hilltop High. Coach Eduardo Covarrubias’ Under-9 team plays at home along with coach Rene Ortiz’ Under-10 squad and Raul Salinas’ Under-16 team. Here is a list of the remaining schedule for Week 5. We hope to see you out there. #GOXOLOS! 9:20 a.m. to 10:50 a.m.